SMU's favorite hang out destination just got a lot more fabulous. 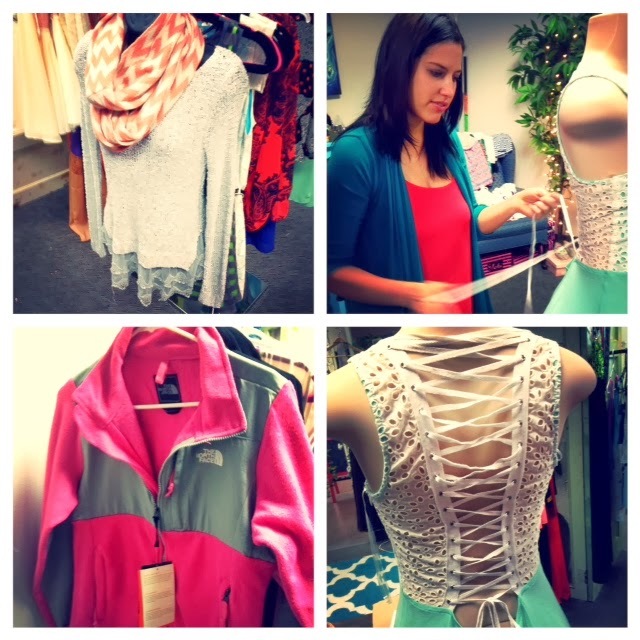 Chic clothing boutique Douleur is open for business at Hughes-Trigg Student Center at SMU! While I restrained myself from buying everything in the store, Giselle Ruggeberg, owner and entrepreneur-extraordinaire, shared some of her experiences as a successful business owner and lifelong fashion fanatic. She grew up in the DFW area and studied International Business at UTD. "You can do whatever you want as long as you're willing to work really hard for it." Whether you're killing time between classes or want to set aside time for an hour-long shopping spree (like I did! ), you'll find something at Douleur. There's literally something for everyone on the style spectrum. Although Giselle describes her personal style as "bohemian chic" and is inspired by style icon Sienna Miller, Douleur's offerings are really diversified. If you have aspirations to start a business, Giselle says to just do it and not over think it because the worst thing that could happen is that you fail and learn from it. 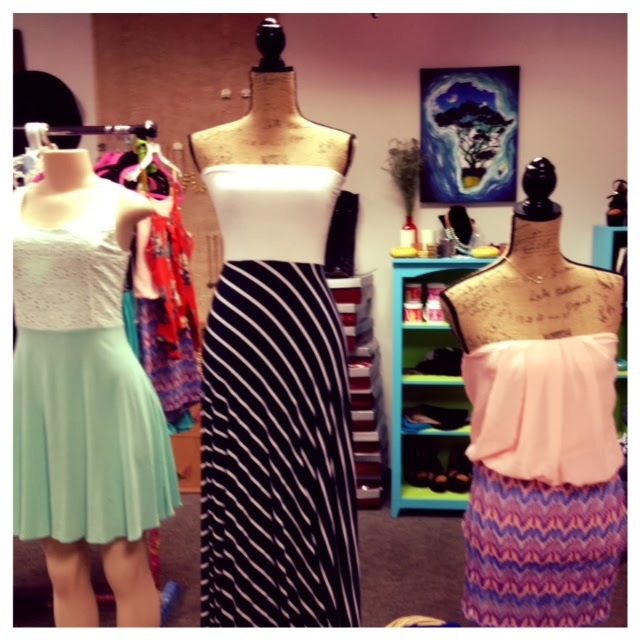 Of course you don't have to be a Mustang to enjoy shopping at Douleur. Check out Douleur's online shop, which offers free shipping! Make sure to stay up-to-date with the latest new arrivals and contests on Douleur's Instragram and Facebook pages.